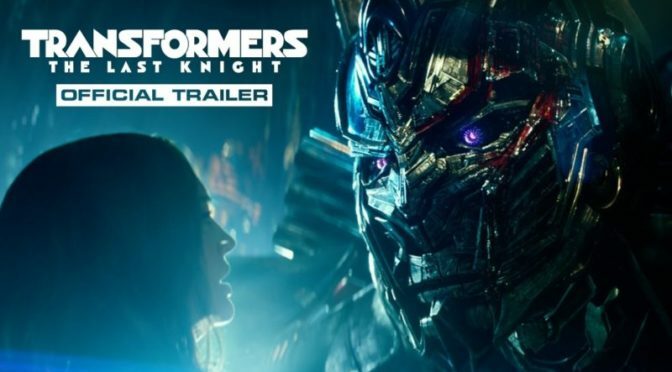 This trailer leans in to the whole “last knight” thing by focusing on robotic encounters with King Arthur and the knights of the round table (never learned about THAT in history books! ), and positioning Optimus Prime as the “last knight” of his race who finally meets his maker face to face. Mystical robot knights? Check. Anthony Hopkins bringing gravitas to this like no one else could? Check. Mark Wahlberg and a Megan Fox-looking female lead making eyes at each other as they save the world? Yep. Plenty of slow-mo, explosions, and gorgeous cinematography with gnashing metal clawing through the middle of the frame? Well, this is a Michael Bay film, so… you better believe it. There are also hints of Michael Giacchino’s ‘Life and Death’ theme from Lost in the score for this trailer, which seems to be aiming to hit us on a subconscious, emotional level.